Chocolate has been an abiding passion ever since I can remember. Sometimes I’m lucky enough to try bars produced by some truly excellent brands. Pacari premium organic chocolate is one such. To celebrate World Chocolate Day on 9 July, I’m delighted to offer my readers the chance to try this excellent chocolate too. Read on for details of the giveaway. 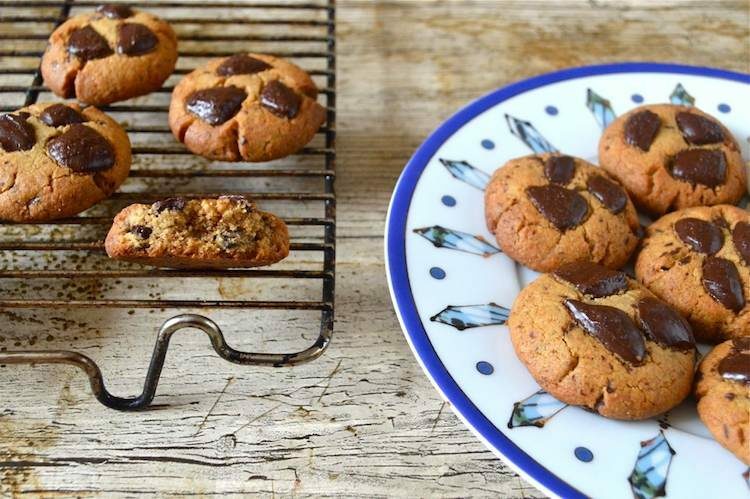 The chocolate is so good, it’s really best enjoyed on its own, but I have to say it also works wonderfully well in these chewy and delicious coffee chocolate chip cookies with cardamom – I just couldn’t help myself. What do you do with leftover egg whites? I make chocolate macaroons. I adore macaroons and find it very hard to stop at only one. One leftover egg white is the perfect quantity to make a few, but not too many. 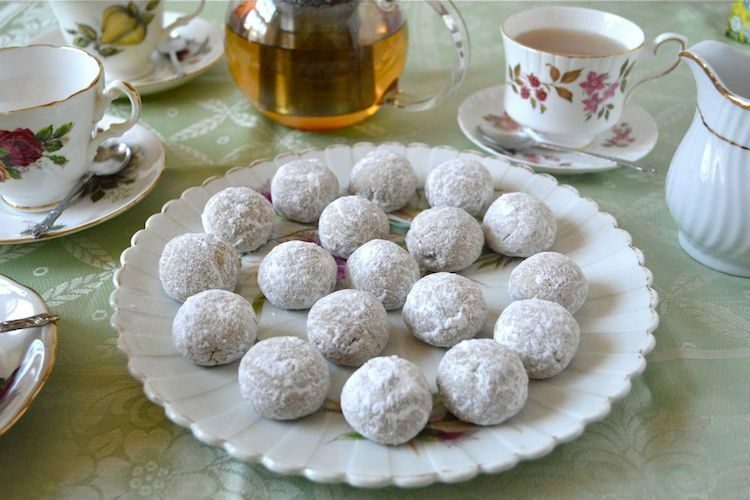 This chocolate macaroon recipe substitutes chufa flour for ground almonds, but you can easily swap them back again if you find ground chufas difficult to get hold of. It’s suddenly hit me that Easter is not much more than a week away. Time to get organised with Easter eggs and a bit of Easter baking. 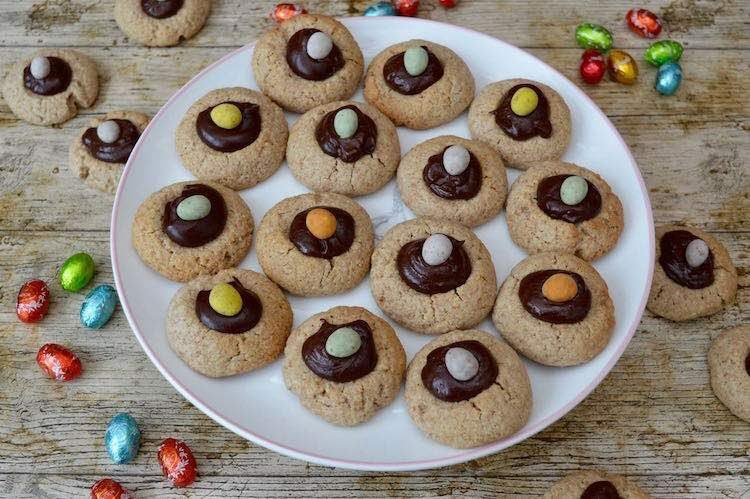 These almond Easter thumbprint cookies turned out to be a real hit. They’re made with wholemeal spelt flour and ground almonds with a good dollop of amaretto chocolate ganache in the middle. Oh, and a cheeky little Easter egg perched on top – it’s all about the nest at this time of year. One of my most exciting Christmas presents this year was some tiger nut flour from CT. I’m easily pleased. It resulted in a flurry of baking. These tiger nut chocolate chip cookies were one of the delights I conjured up. They are, without doubt, the easiest and quickest cookies I’ve ever made. Vegan, gluten-free and relatively healthy, they make a perfect sweet treat if you’re participating in Veganuary. They’re also my contribution to this month’s #WeShouldCocoa. This post is a tribute to fellow food blogger Isabella King, who tragically died last month at the age of 29 after a two year battle with cancer. Izzie blogged at Coriander Queen, where we used to find lots of tempting recipes with beautiful bright pictures. Sadly the website has now been taken down. These peanut butter chocolate chip cookies are my version of Izzie’s dark chocolate peanut butter cookies. Easter just isn’t Easter somehow without Easter biscuits. I first starting making these traditional treats flavoured with mixed spice and currants when I was at school and have been making them ever since. 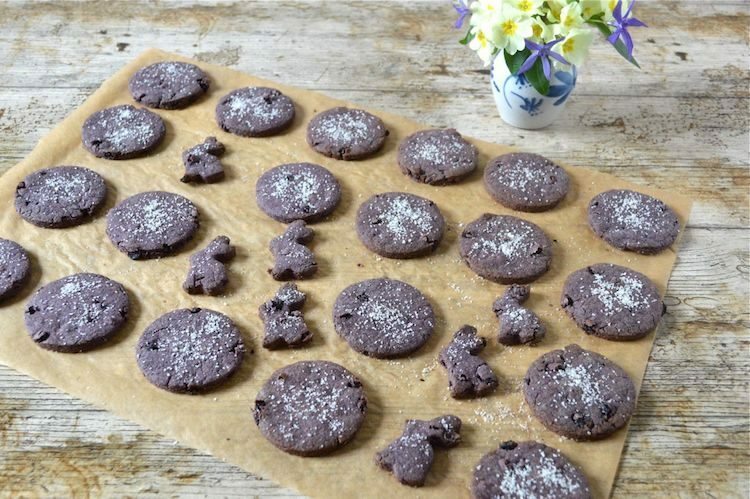 This year I thought I’d change things up a bit so I’ve gone for these healthier vegan Easter biscuits with purple corn flour & yacon powder instead. When I’m in the mood for biscuits, I want a recipe that’s quick and simple to make. I find a cookie craving needs to be satisfied fast, or I might be in danger of a trip to the shops for a packet of biscuits loaded with sugar and other unwanted ingredients. These crunchy peanut butter cookies with zesty orange & oats fit the bill nicely. Well, Christmas is nearly upon us and this will be my last post now until next year. So I’m leaving you with these delicious wholemeal clotted cream shortbread with chestnut flour and cinnamon. It’s the second week in December and I’ve only just made my first Christmas recipe. Biscuits and cookies make great gifts at Christmas and when I’m organised, I like to make a few of them. 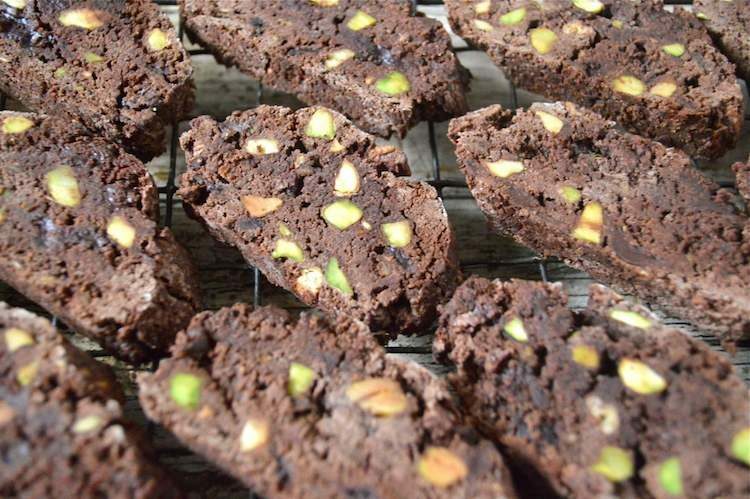 I’ve started with these gluten free chocolate pistachio biscotti as I want to get a few sent off in the post and biscotti are great for keeping well.